04 - Natural Selection 04-11 - Divergence of Character 220 Thus it is, as I believe, that two or more genera are produced by descent with modification, from two or more species of the same genus. And the two or more parent-species are supposed to be descended from some one species of an earlier genus. 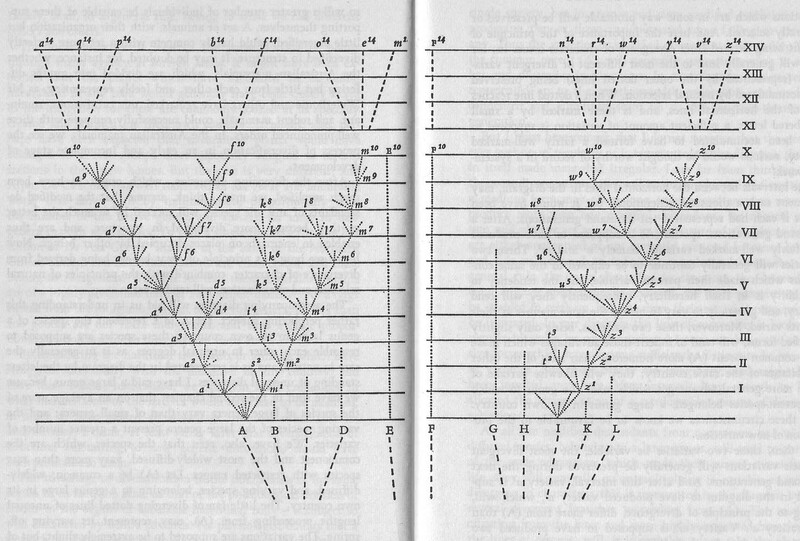 In our diagram, this is indicated by the broken lines, beneath the capital letters, converging in sub-branches downwards towards a single point; this point represents a species, the supposed progenitor of our several new sub-genera and genera.